Needing Clarity in Life, Healing or Pure Knowledge of the mysteries of life? Your home is the Mirror of your soul. Your inner home (your psyche) and your outer home where you live are totally linked and reflect each other. In this experiential workshop, Christian and Leo will guide us through various simple yet life powerful changing processes. Join us for a magical day of inspiring exploration with the Labyrinth of Life. We explore the hidden reasons of Health, Wealth and Relationships. Why life may not be going the way we want, and any reasons for unhappiness. Although a light-hearted day, we will explore deep subconscious patterns in our psyche and illuminate the shadows within. 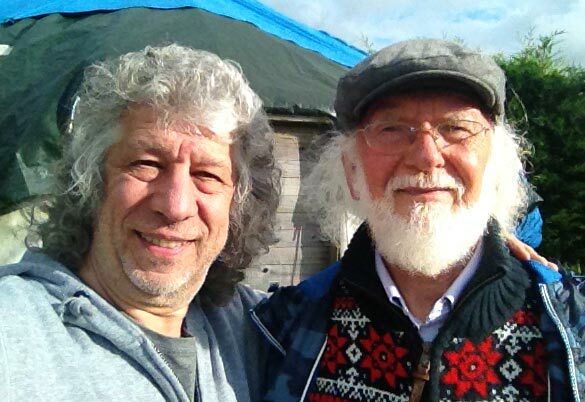 The first and unique workshop of two leading visionaries in their fields. Shamanism, which is the oldest way humanity connected with the greater reality. Shamans were the first healers, teachers, and wise people. Sadly, the wisdom of the shamans has been lost through the movement of humanity from tribes and villages to large conurbations and the replacement of spirituality with religion. 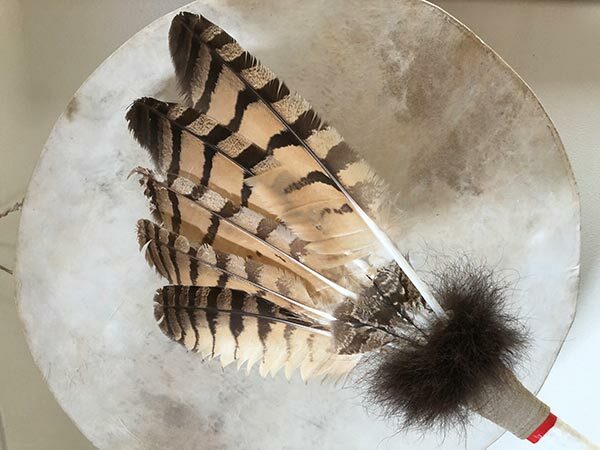 The tools of the shamans assist us to liberate ourselves from beliefs and cultural brainwashing. Our outer health and wholeness is an expression of our inner health and holiness. We are here to bring spirit into matter and matter to spirit. Sonic Medicine and House Whispering. Discover the power of healing through your own voice, sacred sounds, and the magic of gong bath vibrations. Discovering your true relationship to home and learn how you can identify any issues in life including Wealth, Health and Relationships. Understand your inner home and find out if it resonates with your soul purpose, in harmony and alignment with the space in which you live – an external metaphor of your inner home. Did you choose your house, or did it find you? Why was your soul originally drawn to the home/place where you currently live? What is your house trying to say to you? Is your home supporting you and your life aspirations? He will take us into a Visualisation Meditation Process which allows you to see what is really happening in our home. On this journey of self-discovery, illuminating our relationship with home, we will explore why we live where we do, revealing how our matching patterns can support or hinder us in our quest to be truly connected to the heart of home. Christian weaves extraordinary real-life stories with esoteric knowledge and mysticism, taking us into realms beyond our everyday reality. He inspires us to find the key to make profound changes to all aspects of our lives and enhance our health, wealth and relationships. Be prepared to think of where you live in unexpected ways! After the Workshop 5:30 – 6:30 (free to join). The magic of the dance takes us out of the head and into the body, into the depth of ourselves and our truth. Dance helps us to enter altered states of consciousness, to ‘touch the spirit’ of the sun, moon, an animal or plant. In this way we contact the essence of life and recognise our oneness with everything that is. To dance like nature is to vibrate with Creation. A few concession spaces may be available. LOCATION Kingston upon Thames. Ample free parking. Christian Kyriacou is an Architect, House Whisperer, Philosopher, Author, Storyteller, Spatial Psychotherapist, Musician, Composer, Filmmaker, Feng Shui and Geomancy Consultant. He is an inspirational speaker on topics such as the relationship of sound and sacred space, architectural harmonics and music, geomancy and Feng Shui. His psychotherapeutic approach involves reading and understanding the consciousness of buildings, which in turn affects the relationship of people to their homes and work places.